Pictured above are a zucchini frittata and bell pepper tarte made by my mother in law, Bruna. 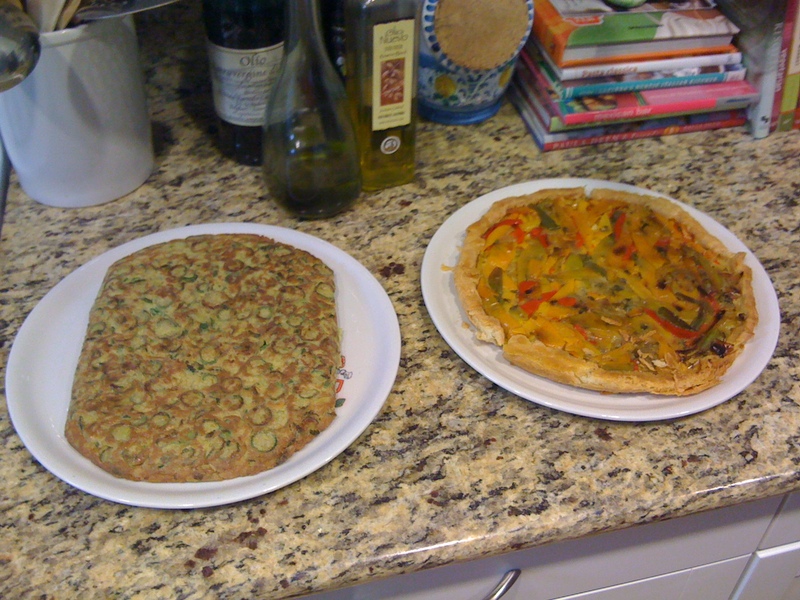 She cooked both items fresh in the morning and then wrapped them up to pack in our luggage for the flight back to the US that day! I told my husband that at customs they would for sure seize the food, but in the end they made it. Bruna really makes the best frittata I have ever had, at her house in Italy she makes a frittata and we eat on it for several days. Which initially I thought was weird because it is eggs and I would think it would not taste good after the first day, but it actually tastes better when the flavors are left to mingle. 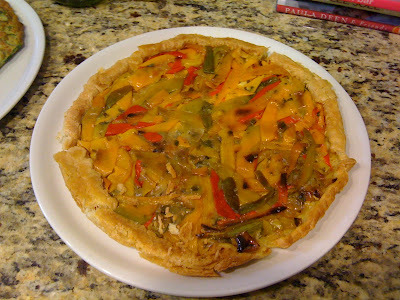 The bell pepper tarte is really good too, she uses no eggs in this just cooked fresh bell peppers and lot of olive oil and store bought "pasta sfoglia" or pastry dough. 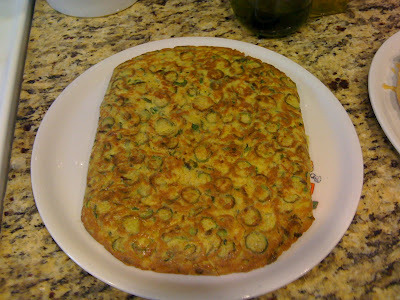 The "frittata di zucchine" is one of the things I miss the most of my mom's cooking... In the pictures, the edges are cut for better "packaging" for the trip.